Executive coaching is the creation of a one-on-one relationship between an executive who holds a leadership position and a professional executive coach. These relationships are intended to benefit the executive by increasing his or her performance and helping them to reach untapped levels of success. Executive coaches help the executive identify their goals, understand the best way he or she can approach challenges and slow the highly complex decisions that make up their work, as well as helping them to alter their communication style to work as a better manager and leader in the office. 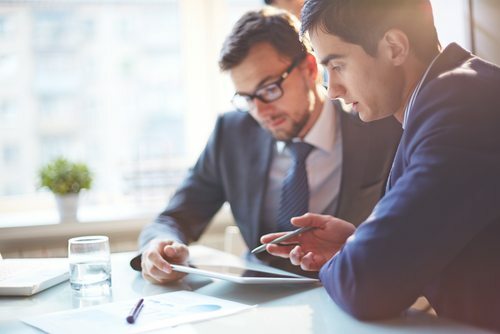 Executive coaching services include a variety of strategies that are designed to help optimize workplace efficiency and communication, including self-help training, behavioral techniques and other tools designed to maximize executive performance. By using these tools and techniques, the end goal is to enable the executive to feel confident in their decisions, able to handle a variety of professional problems and to empower those around them to work toward doing the same. Facing challenges at the office? A professional executive coach can help their client limit the number of dilemmas they face in the first place, and help develop tailored results-based problem-solving techniques, which means more positive growth for the organization as a whole. Tony Robbins executive coaching services focus on helping people to identify and reach their short- and long-term goals, as well as providing them with the strategies they need to replicate that success in the future. Executive coaching services from the Tony Robbins team also center on helping working professionals to build out their scope of vision and add value to their executive tool box and education. As a person who has focused on maximizing personal power for decades, Tony Robbins is an experienced executive coach who teaches his executive partners how to understand and address their own intentions, goals and needs instead of issuing simple “how to” instructions. The best athletes in the world need coaches, so why should executives be any different? Tony has partnered with some of the top business leaders in the world, to empower them to hone their skills and find real, sustainable success. Think of executive coaching as a form of re-education. Your coach is not there to teach only you, a leader; he or she is there to teach you to bring out the best in all of your top performers and to foster better performance and develop your employees’ skill sets, too. After you’ve worked with a coach, you’ll be able to relay their strategies and lessons to team members at all levels of your organization. Executive coaching is most successful when the executive is able to pass on what he or she has learned to the rest of their team, turning the standard employee team into a well-oiled machine driven by top performers. Although many people have leadership qualities inside themselves, leadership is not something that comes naturally to everyone. However, it is a skill and talent developed over time that can be strengthened by working with a professional. Think of leadership not as something you’re born with, but a muscle that’s developed over time. Driven by the psychology of peak performance, Tony Robbins’ executive coaching services are informed by the science of organizational turnaround. Your metrics will reveal that this kind of performance optimization creates results that will benefit not only your personal growth, but the success of your organization as a whole. You already know how competitive your business is. You already know you have the potential and drive to achieve massive success, but you also know you could use a little help getting there. To take your business to the next level, and learn strategies that will help you succeed for years to come, turn to Tony Robbins executive coaching services. Ready to lead your business to new levels of success? Boost company performance, hone your leadership skills and achieve lasting financial success with the expert tools and techniques provided by Tony Robbins’ Results Coaching services.